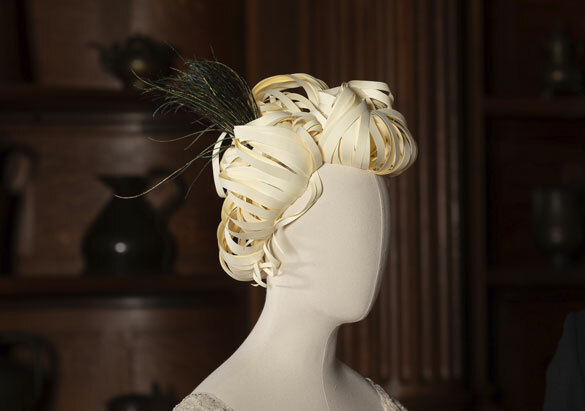 For Edith Vanderbilt and her peers, the fashion demands of the Gilded Age included regular visits to their favorite milliners for stylish hats and headpieces to match every outfit and activity from strolling in the gardens to attending fancy dress balls. Ladies also kept up with trends by reviewing elegant magazines like Les Modes for the latest looks from couture design houses in cities such as Paris and London. 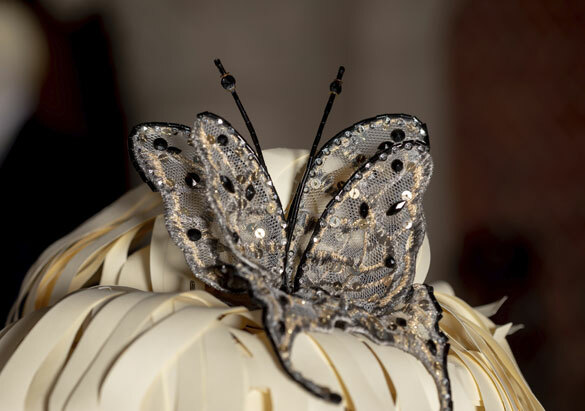 Now through May 27, experience a fabulous array of hats and headpieces ranging from beautifully beaded butterflies and dove gray velvet to iridescent peacock feathers during our new exhibition: A Vanderbilt House Party - The Gilded Age. 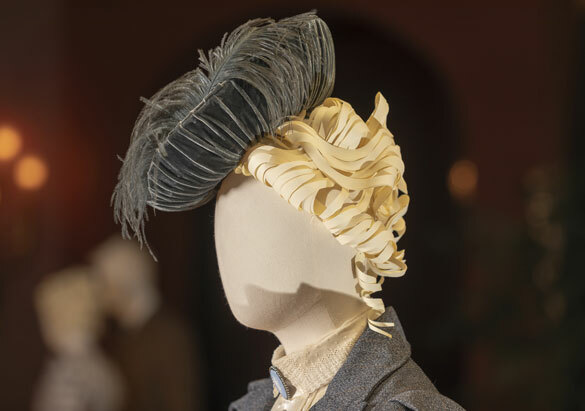 "We spent two years planning this exhibition," said Leslie Klingner, curator of interpretation, "and we re-created many pieces of clothing from the original wardrobes of the Vanderbilts and their guests. 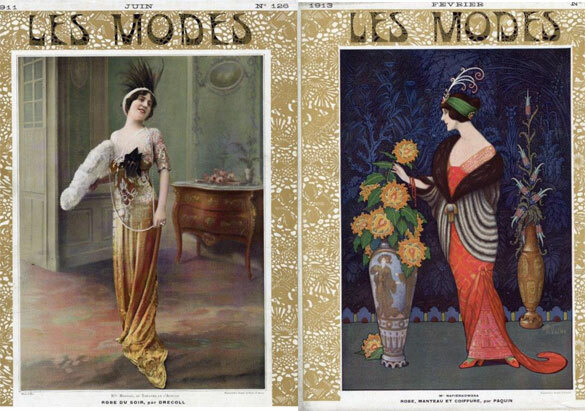 We also looked at sources such as newspaper clippings and Edith Vanderbilt's collection of Les Modes magazine in our archives for inspiration. The beautiful attire you'll see in this exhibition would not have been complete without matching accessories." One of Leslie's favorites is a velvet gown that Edith Dresser wore for her photographic portraits commemorating her engagement to George Vanderbilt. "The color is so deep that it looks black," said Leslie, "but we know from newspaper articles and archival sources that it was actually midnight blue." 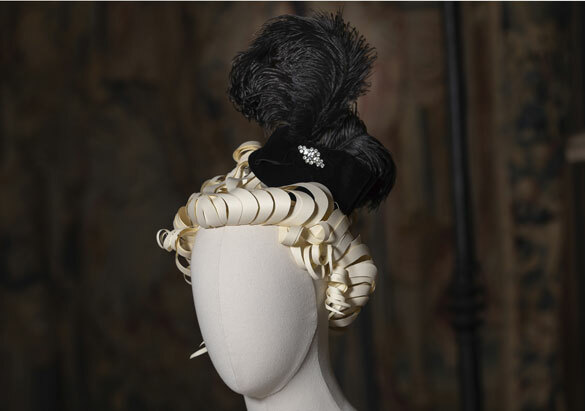 The matching headpiece features a diamonte ornament and a feathery black plume that adds additional height and elegance to the ensemble. 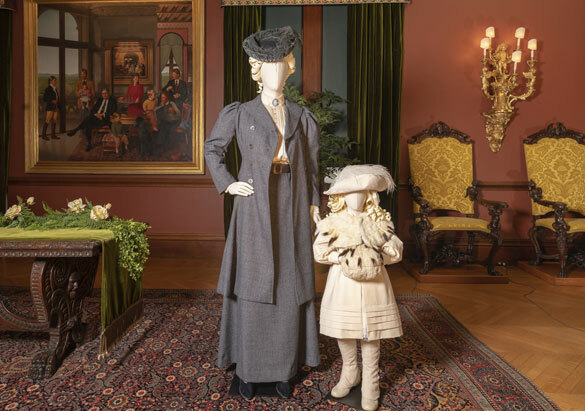 A vignette in the Second Floor Living Hall features Edith's sister Pauline Merrill with the Vanderbilt's only child Cornelia, dressed for walking out to feed the swans. While Pauline's blue-gray tweed jacket and skirt seem sturdy enough for the outdoors, her hat is a delightful confection of soft gray velvet trimmed in matching ostrich plumes. As the lady of the house, Edith Vanderbilt would always have been dressed appropriately for conducting her household responsibilities and attending to her family and guests. 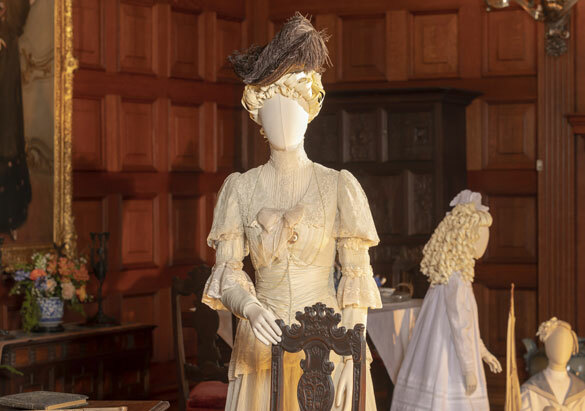 The elegant dress and hat featured in the Oak Sitting Room vignette were reproduced from an archival photograph. And let's not overlook the fashionable gentleman of the era. 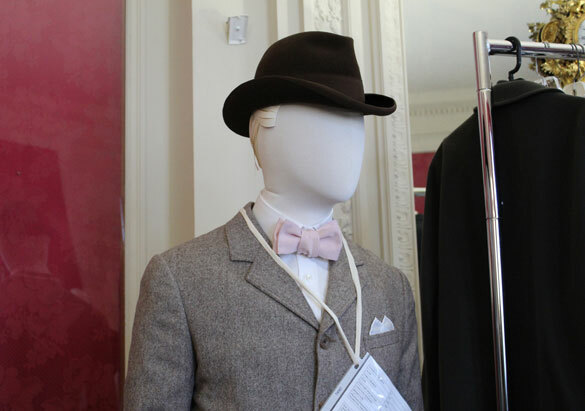 They, too, would have visited their trusted haberdashers for the finest bespoke styles—including hats—tailored to their needs and specifications. 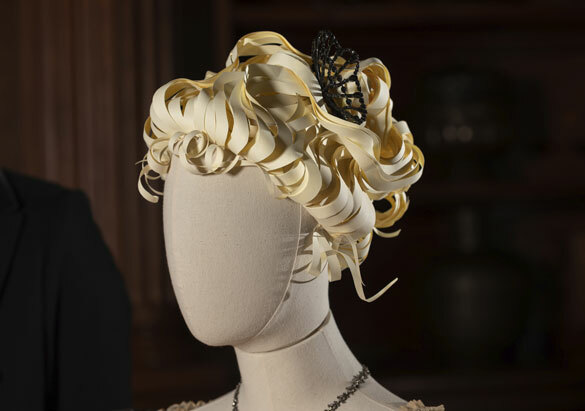 "For events like grand dinner parties, Edith Vanderbilt and other ladies would have worn stylish headpieces that coordinated with their gowns and accentuated their ornate hairstyles," Leslie said. 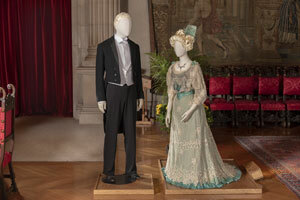 Experience A Vanderbilt House Party – The Gilded Age February 8–May 27, 2019, and discover how the Vanderbilt family planned and prepared turn-of-the-century house party celebrations for their special guests. Receive our new Exhibition Audio Guided Tour featuring custom content created exclusively to enhance your visit—FREE when you purchase your estate admission online!